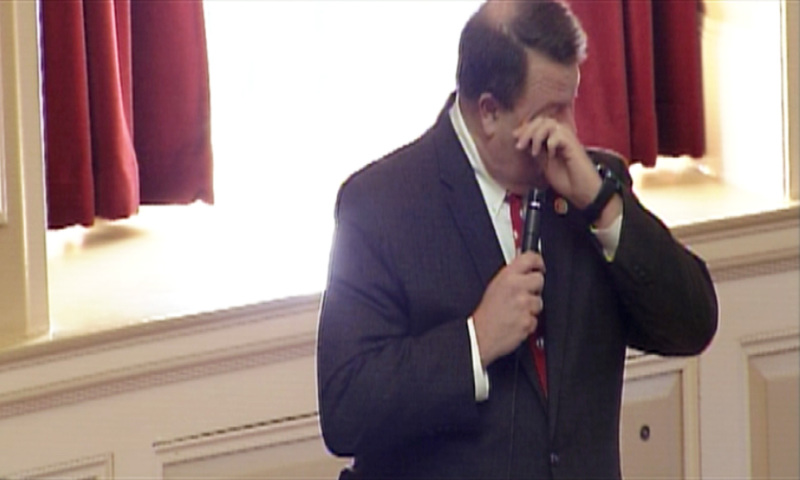 RADFORD, Va. (WDBJ) — Virginia Sen. Bill Carrico, R-Bristol, fought back tears on Tuesday, as he honored the life of fallen State Trooper Lucas Dowell. “I move that, when we adjourn, that we adjourn in honor and memory of Trooper Lucas B. Dowell,” Carrico said on the Senate floor. Carrico, who went to Chilhowie High School where Dowell went, said he knew Dowell well, and that his son worked closely with Dowell on the State Police Tactical Team. “You just never want that to hit so close to your home,” he said. Carrico has been a supporter of increasing protections for law enforcement. A bill he introduced that would stiffen penalties for killing an officer passed the Senate just one day ago. If passed, the charge of capital murder could not be reduced in those situations, meaning life in prison or death for anyone convicted of killing a law enforcement officer. “It goes to show that we’ve got to make some stronger — the capital murder bill — stronger commitments to protecting these men and women that are out there putting their life on the line every day,” Carrico said. The bill, SB 1501, now goes to the House of Delegates, while Carrico and the rest of his community mourn one of their own.